"The Ultimate Street Fight At 50,000 Feet!" 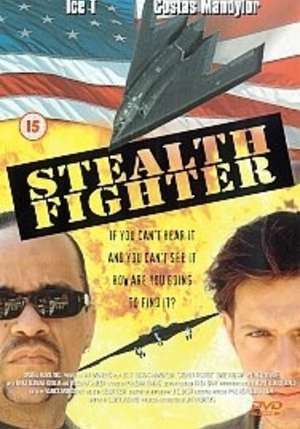 As if Desert Thunder (1999) wasn't enough, from the team of Jim Wynorski, Lenny Juliano, some stock footage, miniatures, and a green screen comes Stealth Fighter, the tale of Ryan "Iron Man" Mitchell (Mandylor) a Harry Connick Jr. lookalike who is a member of a special ops team who reports directly to President Westwood (Hudson). When his former buddy Owen Turner (-T) starts working for evil terrorist mastermind Roberto Menendez (Divoff), bad things start to happen. They sink a submarine with a full crew on board, initiate the killer satellite Thanatos to blow up the world, and on top of that, Turner steals a stealth fighter jet. Meanwhile Mitchell is trying to repair his family life with his wife Erin (Eleniak) and daughter J.P. (Dampf). So he offers to go on this one last mission to save the world. 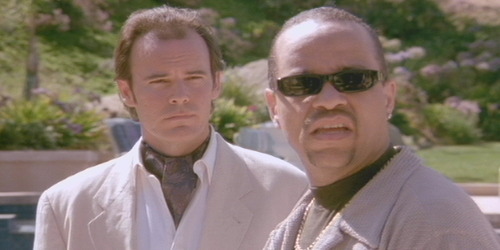 You know Menendez is evil because he sports an ascot. 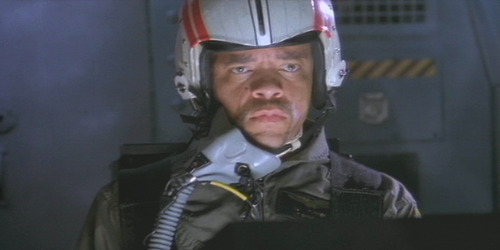 Lister plays his muscle named Berg. All he does is bug out his eyes. The best actor in the movie is Sarah Dampf as Mitchell's precocious daughter. The code name "Eagle One" makes another appearance just like in Desert Thunder. The movie is filled to the brim with silly slang and you have to activate the closed captioning to understand the dialogue: "You've just been splashed! ", "The Bird", The usage of "SAMS", etc. There's also the funny mission names such as "Black Raven" and "Operation: Clean Sweep". A tongue-in-cheek scene occurs when William Sadler, as Mitchell's commanding officer Frank Peterson, sits behind his desk and yells "You're a wild card!" Also in that scene, Sadler calls him "Kenny" for some reason. Strangely, his daughter claims to have a boyfriend named Kenny. In that same scene, his wife offers Mitchell some iced tea. Of all drinks, why that? Speaking of the man, he wears some funny shirts and spits out his lines in his own inimitable way. He's part tough, part goofy. Somehow he doesn't seem like an expert with planes. In the final battle between him and Mitchell, we even get to see his martial arts stylings, or Ice-Fu if you will. Many things in Stealth Fighter are prescient. Ernie Hudson is cast as the President, predating Obama. They talk about Electromagnetic Pulse attacks, which have been in the news recently. The title has two meanings: Mitchell himself, and the plane in question. The submarine subplot wasn't substantial, it was pretty subpar. 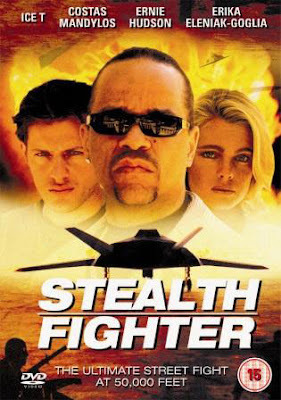 In all, if you like cardboard planes, goofy DTV action, Jim Wynorski, or Desert Thunder (which is superior to this) and you want slang-filled, utterly brainless action, then watch Stealth Fighter.